For his first solo exhibition in the USA, Berlin-based architect Diébédo Francis Kéré has created a rainbow-coloured installation made of thousands of strands of lightweight cord. 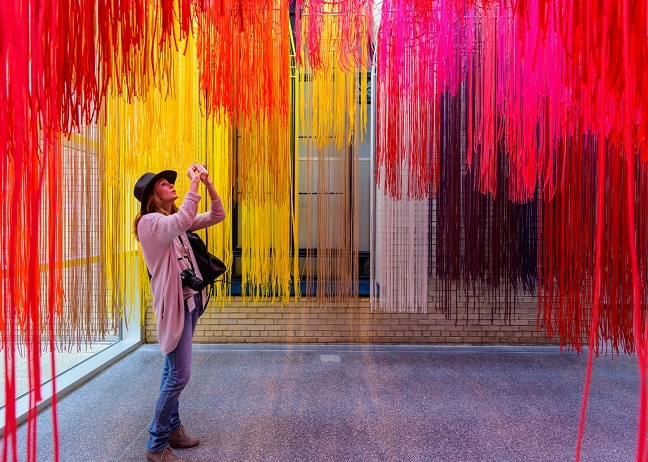 The site-specific installation, called Colorscape, is on view until 25 September 2016 at the Philadelphia Museum of Art, a leading cultural institution in the US. It is part of a comprehensive solo exhibition – titled The Architecture of Francis Kéré: Building With Community – that examines the architect’s work in West Africa and beyond through models, photographs, film projections and other items. “The exhibition invites visitors to consider how architecture benefits and interacts with communities, while revealing how materials can potentially transform into meaningful collective experience when coupled with basic tools, ideas and willpower,” said Kéré Architecture. Kéré grew up in a remote village in Burkina Faso and today runs his eponymous studio in Berlin. He is well-known for creating low-cost, modern buildings in West Africa that are constructed using local materials and labour. 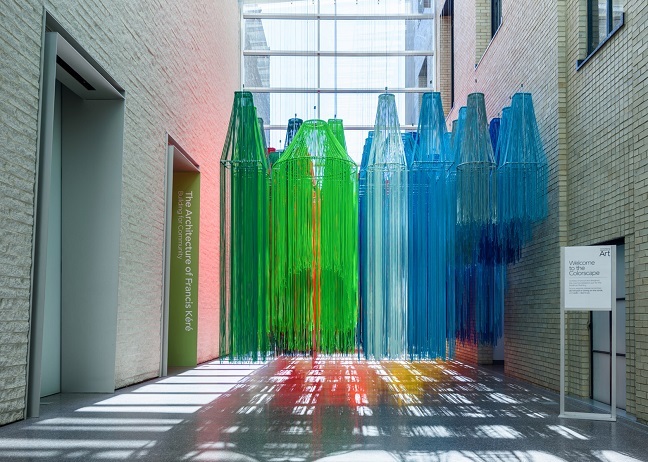 For an atrium in the Philadelphia art museum, the architect installed a suspended, maze-like structure that consists of thin pieces of coloured cord attached to a steel frame. 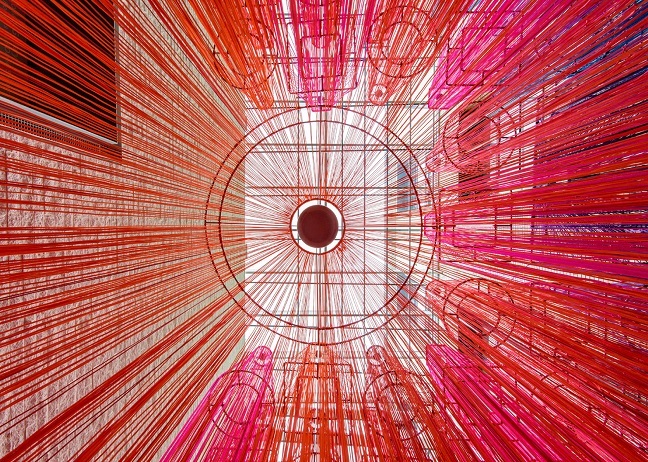 The string was locally fabricated and references Philadelphia’s legacy as a textiles hub.